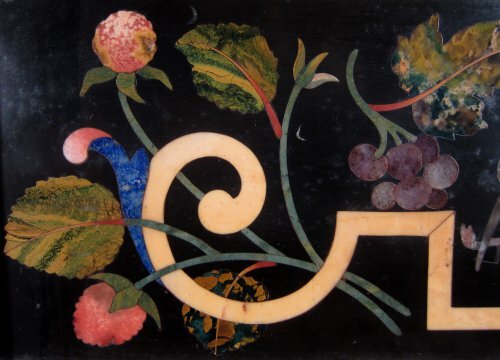 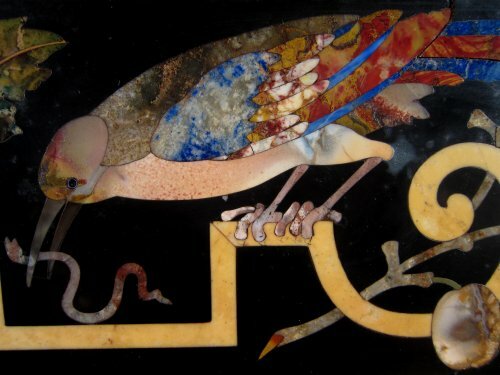 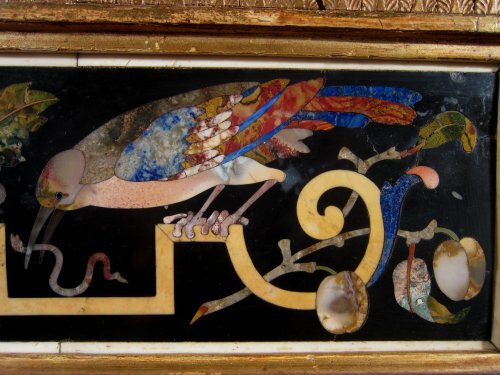 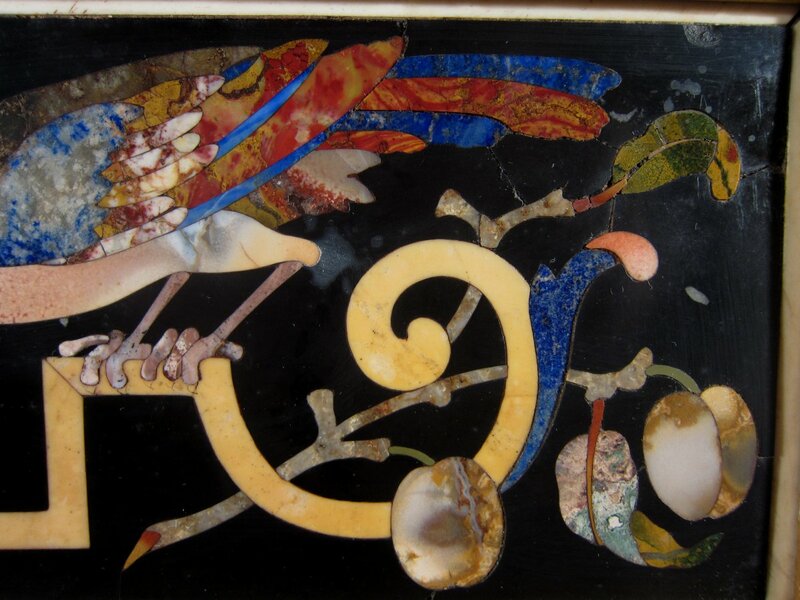 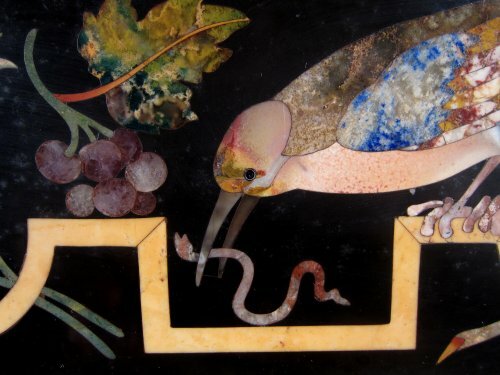 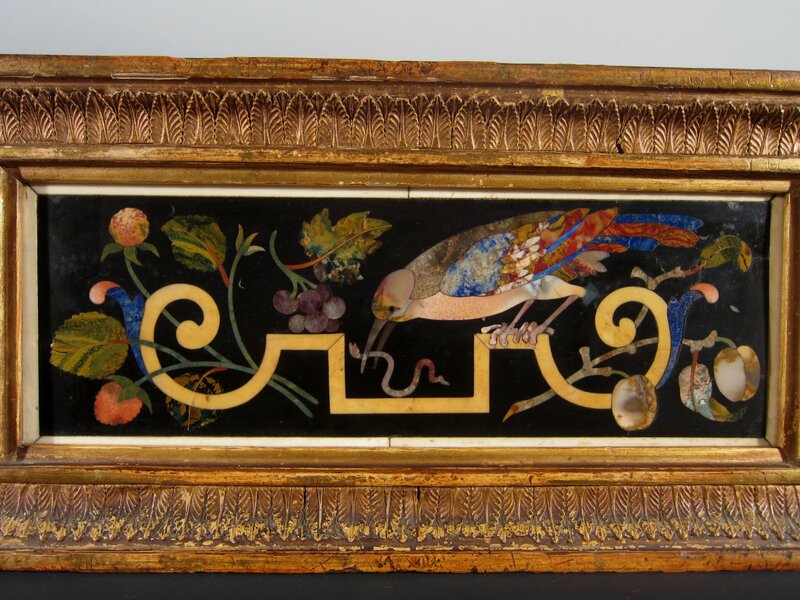 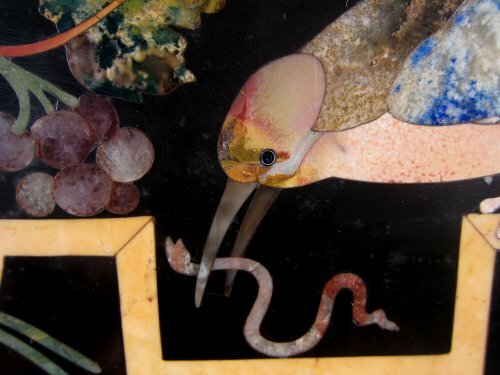 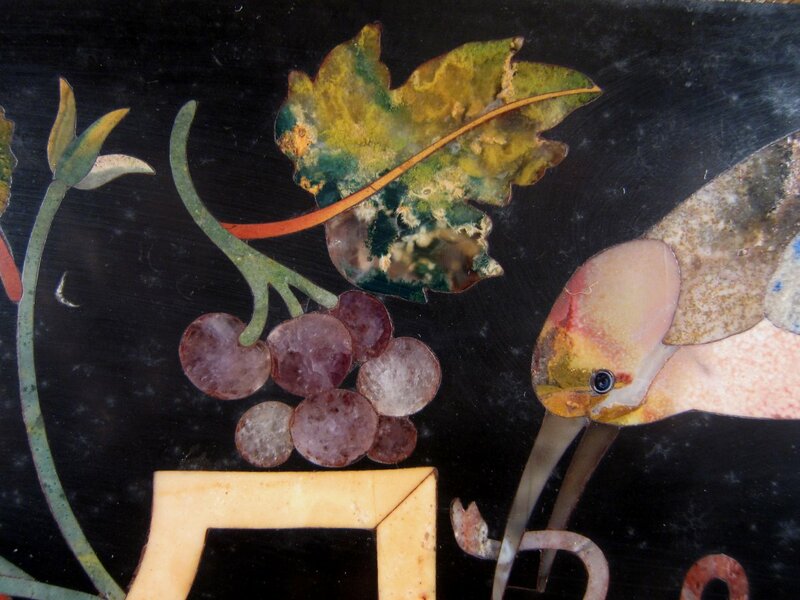 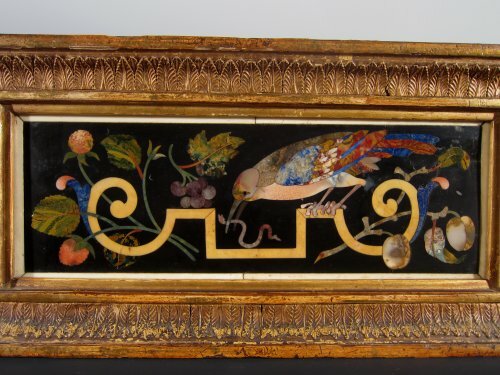 Fantastic plaque realised in very fine pietre dure marquetry technique, on a black Parangone ground, including agate and onyx for the leaves, lapis lazuli, jaspe and agate for the bird's tail or amatiste for the grapes. 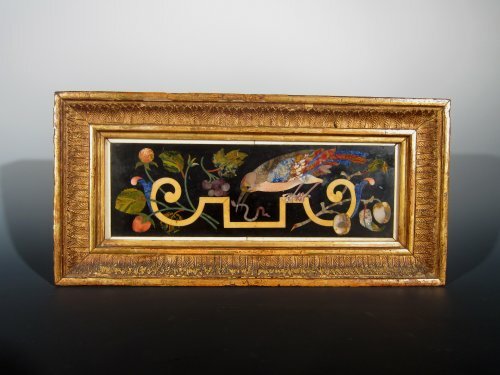 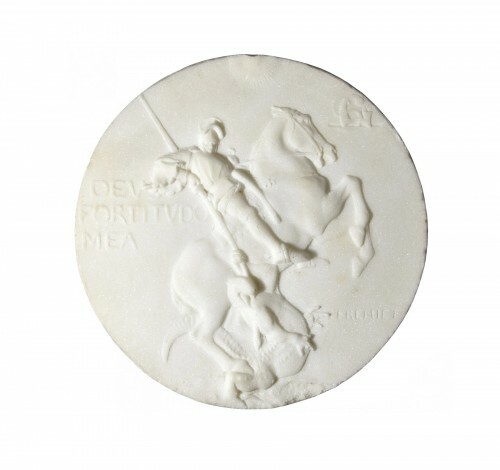 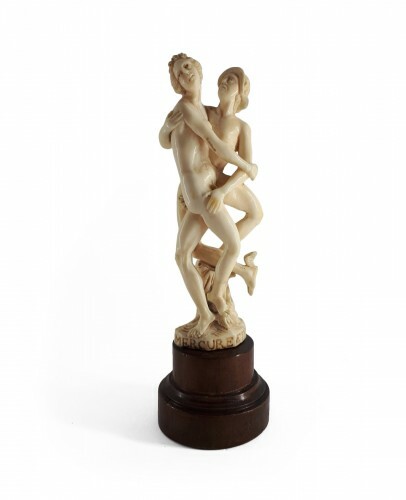 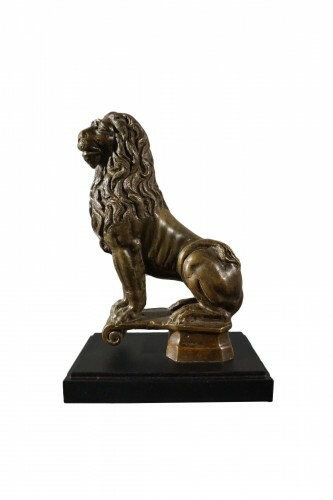 It is mounted in a neoclassical giltwood quality frame, probably incorporated in the late XVIIIth century by a collector both to present it and to protect it. 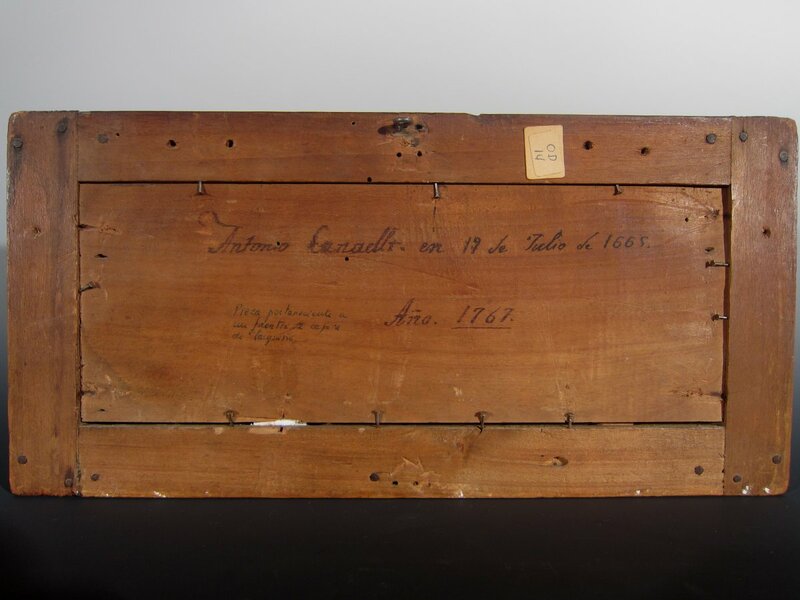 The reverse bears several ancient property ink inscriptions and dates. 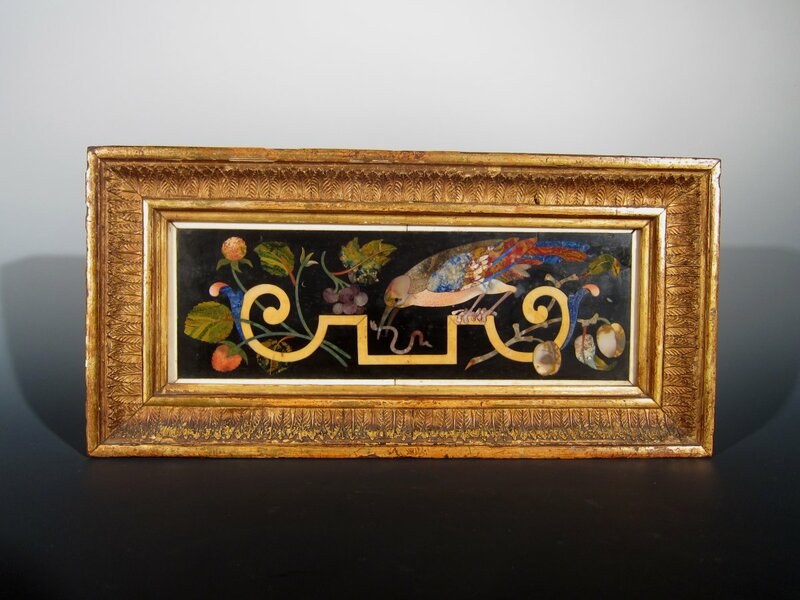 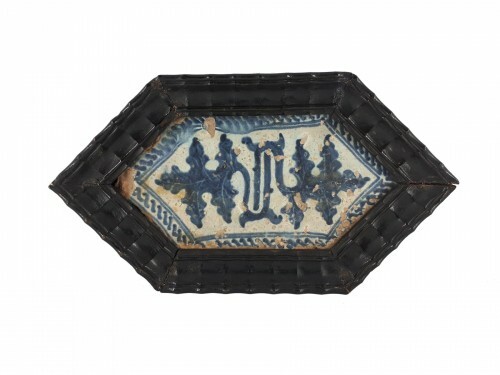 This plaque belonged originally to a cabinet drawer front or to a casket side panel. 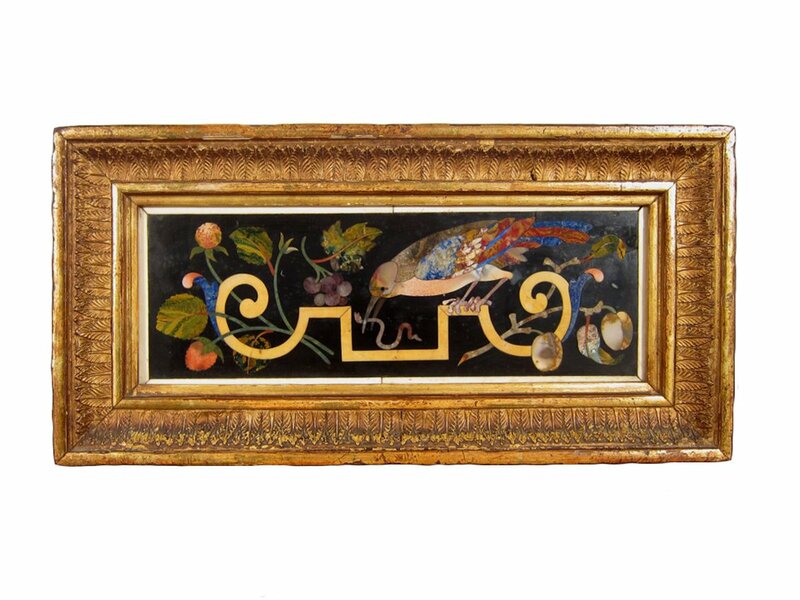 The composition shows an intense colored bird standing on a yellow marble double volute, taking a worm with the beak, surrounded by diverse fuits and leaves of several forms and colours. 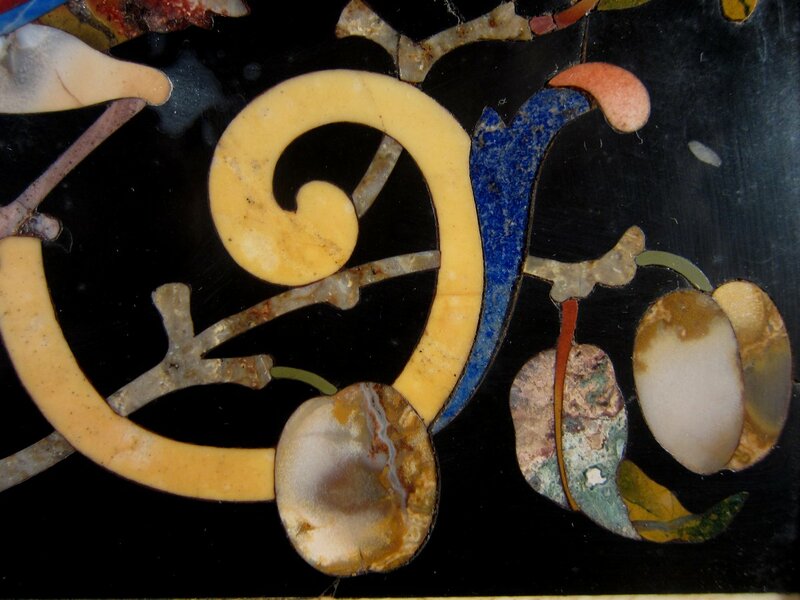 Both the bird and fruits are typical features of Florentine productions, that used to employ during the XVIIth century the Parangone black ground, that would be later substituted by white and clear grounds from the early XVIIIth century. 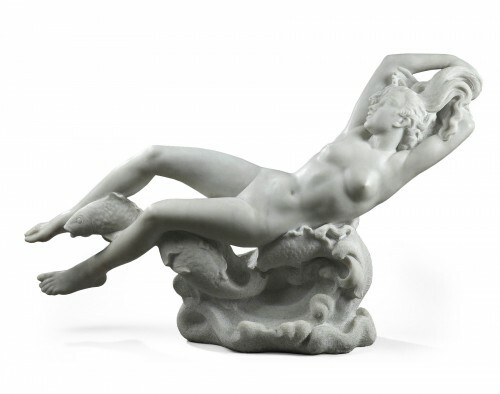 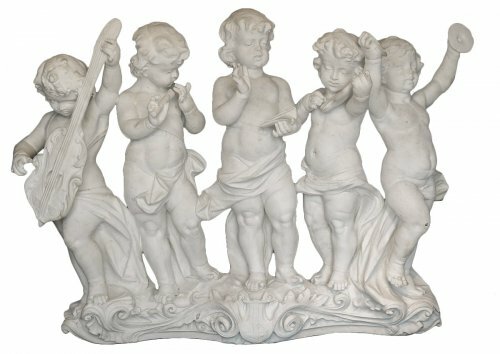 High quality of execution is patent in the skilful composition that achieves a three-dimensional effect organising the branches, leaves and fruits before and behind the volute, and also thanks to the detail of the leaf fold on the lower right corner, that provides depth to the composition. The chromatic richness of the plumage, the refinement of stems and the delicate details of leaves are other signs of the technical skill achieved in this small but exquisite pietre dure plaque that was created at the Grand Ducal Workshops in Florence. 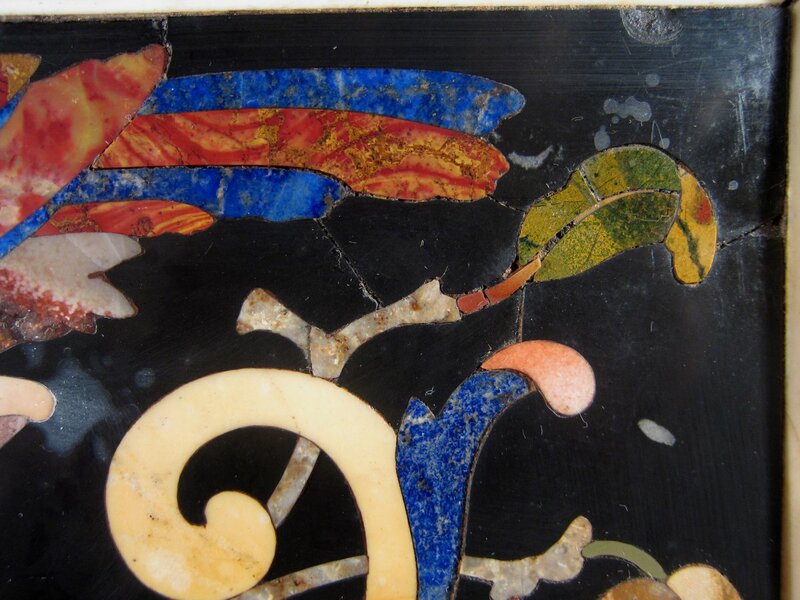 Condition is very good; some minor breaks on the right top corner.